Wreckage is an Ultra Raw & Dirty Detroit Punk Rock Masterpiece...Jenna leads the listener through an urban wasteland of excesses and extremes...10 Bucks! "All This and More" written by The Dead Boys is NOT on CD. 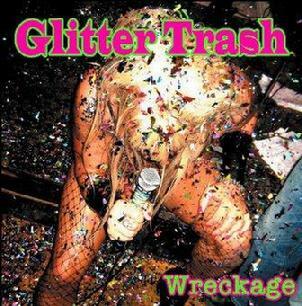 Glitter Trash Promo CD is a four song ep of Classic Detroit Punk Rock. 10 Bucks.